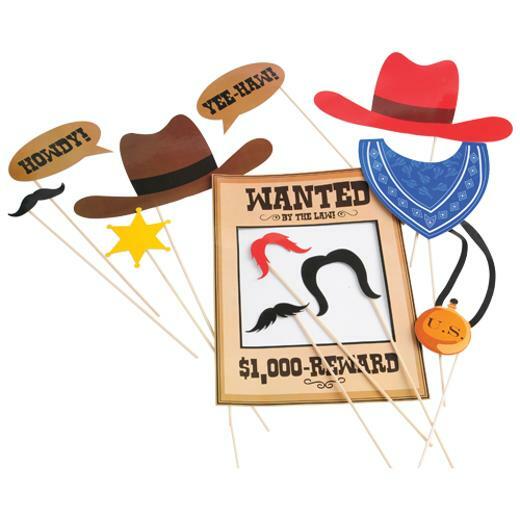 Cheap Cowboy Photo Booth Props - 12 Ct.
Bring the Wild West to your party guests with these cowboy themed photo booth props. A great ice breaker and a fun conversation piece, photo booth props add tons of fun to any gathering! Includes cowboys hats, fun western mustaches and a WANTED poster on wooden sticks for easy photographing. L: 9.6 in. W: 0.75 in. H: 16.65 in.